Sometimes it comes a time when a developer comes a long and says, no more shooting. No more explosions, crashes and destruction. No more cannons, guns and pistols. Let's put to rest our tanks, spaceships and fighter jets. Let's not have little cuddly characters falling to their deaths, or being crashed or otherwise dying. Logic State did just that with its game, Sand Slides. Sand Slides is a game with no deaths of any kind. No violence. 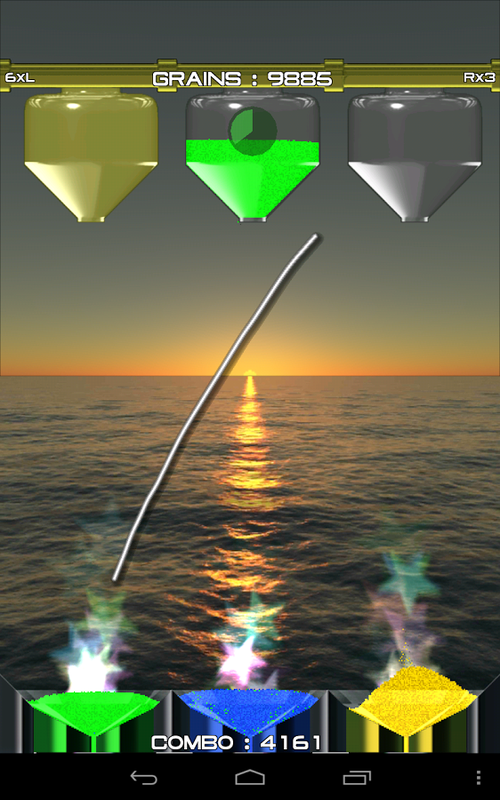 Just soothing, relaxed music and the hypnotic movements of the ocean's waves on the background of the game. Just for that, this app deserves kudos an a large round of applause. But what does Sand Slides really does? 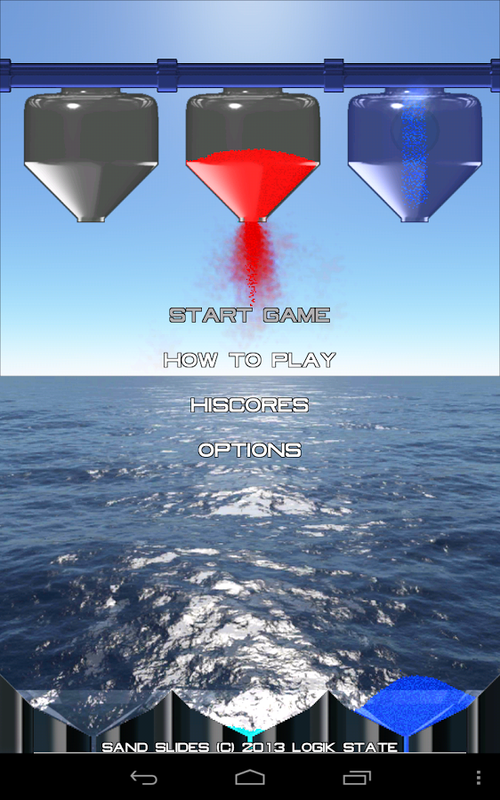 Sand Slides is an arcade game for Android Smartphones. It has three funnels of sand, that gather colored sand and then releases it. 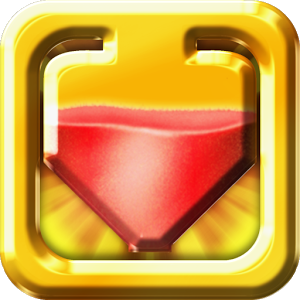 The goal of this game is to make sure the sand falls into the correct chute underneath, the yellow sand into the correct chute. To make sure the sand falls correctly, we can draw slides by moving our finger along the screen. Sand falls along the slides and hopefully now will slide into the correct chute. Actually, that's the player job, of drawing slides to direct the sand correctly without mixing it. 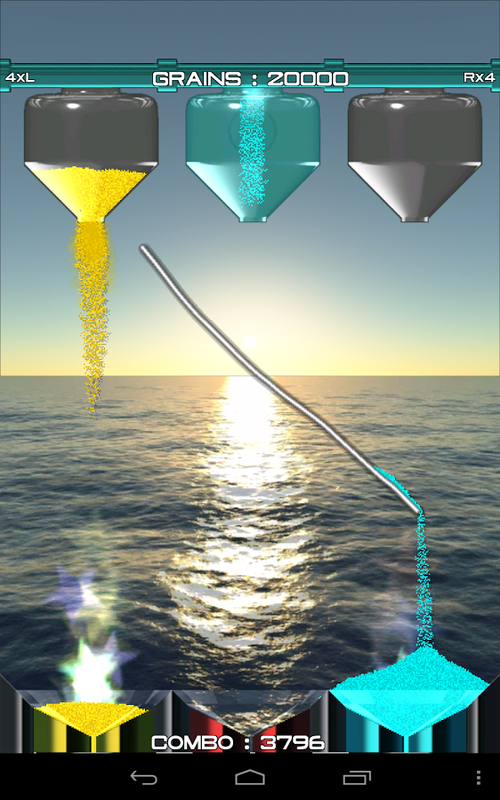 The games becomes progressively more challenging as the slides waver and disappear and the funnels who drop the sand do so faster and faster and change places, making the player draw bottles and other complex routes to allow the sand to fall into the right chute without coming in contact with sand of another color. To sum things up, Sand Slides will become almost anyone's instant favorite as it is soothing, lacks violence all together yet has enough challenges to make everyone pause, think and carefully plan his or her moves in advance.